Bikini season is near! Maybe we let things go a little in the winter – the cover of a big puffy coat is so forgiving. But with the layers flying off as the summer heats up, it’s time to take care of business, so we’ve put together a few products to help you look better in the buff. Guinot’s Double Minceur Ciblée is contouring gel cream that targets the initial process of when fat starts to store itself. The lipolytic action releases trapped fat while anti-lipogenesis slows down its storage. Delipogenase hunts fat to eliminate it right at the source. ESPA’s Detoxifying Seaweed Bath will shrink you down! The new blend of orange, mandarin, petitgrain, and citronella essential oils smells heavenly and seawater acts as a humectant. Two capfuls in the bath will tighten you right up! *This is potent stuff! Don’t use if you’re pregnant or allergic to seaweed, and be sure to drink lots of water. 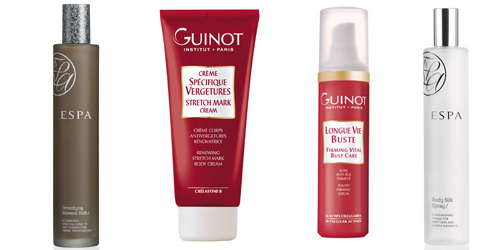 Acting as an invisible sheath supporting the skin, Guinot’s Crème Spécifique Vergetures combats the formation of stretch marks and softens their appearance. Guinot’s Longue Vie Buste acts as an invisible sports bra that helps create a younger-looking bust and décolleté, and sculpts the bust, and deeply firms the skin. This youth firming serum penetrates to the elastic and supportive tissue for an anti-aging effect. As a final touch before wowing Mr. Right (or everyone at the office), spritz on a bit of ESPA’s Body Silk Spray, a nourishing finale for soft skin and subtle radiance giving the skin a beautiful sheen and radiant glow. The effortlessly chic fashion line, Haute Hippie, and the highly-lauded Jamaica hotspot GoldenEye Hotel announce their collaboration and the creation of a new “All Things Gold” clothing collection. Inspired by Island Outpost’s flagship property and the simply stunning north coast of Jamaica where the hotel is located, the Haute Hippie designs will launch in time for Resort 2012. The laid-back rocker-chic designs of Haute Hippie founder Trish Wescoat Pound are in perfect harmony with the simple, iconic Jamaica-style glamour that Rock and Roll Hall of Famer Chris Blackwell has nurtured at the recently re-opened hotel. Their shared affinity for a relaxed approach to high style has resulted in this special “All Things Gold” collection, which will feature the vintage-inspired, yet modern vibe that both brands embody. “So much of what inspires us is drawn from the places we travel and the music we listen to. The partnership with Chris Blackwell and GoldenEye is a true meeting of the minds – a sharing of aesthetics, tastes and influences,” said Trish Wescoat Pound, founder of Haute Hippie. The “All Things Gold” Resort 2012 collection will be available later this year at Haute Hippie stores. The collection will also be carried on-site at GoldenEye and at its sister property Strawberry Hill Hotel, Spa & Gardens, which is set high among the Blue Mountains and offers breath-taking views over the city of Kingston below. Haute Hippie draws from a myriad of cultures, genres, people and places, and embraces the lifestyle for which they design. More than just a line of beautiful clothes, Haute Hippie is an expression of a collective conscious, a common mindset and a shared worldview. It’s no wonder Wescoat Pound was inspired by Jamaica and GoldenEye following her recent wedding at the property. The hotel and its lush surroundings are steeped in old-Hollywood history – after all, it is the former home of author Ian Fleming and the location where he penned all 14 James Bond novels – yet thoroughly infused with the vibrant spirit of this most unique island. Set along the crystal clear waters of the Caribbean Sea, GoldenEye successfully pays homage to its rich heritage while offering contemporary luxury with an authentic Jamaican feel with brand new beach- and lagoon-front Cottages and Suites, swimming pools, and dining options. Founded by designer Trish Wescoat Pound, Haute Hippie is the expression of a love affair with clothing. From boy shorts to ball gowns, each piece in the Haute Hippie collection is inspired and designed by people who are passionate about the clothing they create. Haute Hippie embodies the spirit of the global nomad – blending vintage, urban chic and other cultural influences from around the world. The Haute Hippie woman is as comfortable exploring the jungles of Peru as she is the streets of New York; a true citizen of the world – comfortable in her own skin and free from the need to conform to trends. A believer in the democratization of fashion without compromising luxury, Trish infuses Haute Hippie with the same carefree – yet sophisticated – aesthetic that characterizes every aspect of her life. Founded in 2008, Haute Hippie is sold in over 100 stores across the United States and more than 40 countries worldwide. GoldenEye overlooks the Caribbean Sea in the quiet village of Oracabessa Bay on Jamaica’s north coast. Built by the novelist Ian Fleming as his Jamaican retreat, GoldenEye is where Fleming wrote all 14 James Bond novels. Today, GoldenEye is an award-winning Island Outpost hotel. It is owned by Chris Blackwell, the Jamaica-raised founder of Island Records. Though built in 1949, GoldenEye reopened in 2010, following a two-year renovation. The hotel now encompasses Fleming’s original villa, three villas built by Blackwell, plus nine new Beach Cottages, two new Lagoon Cottages and six new Lagoon Suites. GoldenEye is sited on 52 stunning acres and is home to secret coves, breathtaking private beaches, tropical forests and a singular lagoon. Two new restaurants—The Gazebo and Bizot Bar—serve quintessential Jamaica-style cooking and signature cocktails mixed with Blackwell Fine Jamaica Rum. The FieldSpa is the home base for the fitness and activities program. Treatments are given by the water, in-your-own-room, or at a cottage named Royal Palm, at the lagoon-edge where open-to-the air treatment rooms are a sanctuary for massage, salt scrubs, skin brightening facials, herbal wraps, and energy work. A pioneer in a variety of green initiatives, GoldenEye supports the Oracabessa Foundation, which educates and encourages sustainable development within the community. Day-to-day environmental irritants, from stress to smoking to pollution, are the main cause of many pesky cellular malfunctions that result in less-than-perfect skin. And when deprived of oxygen (thanks to those irritants), skin cells cannot breathe and this, too, is reflected on the face, making for a dull and lackluster complexion. 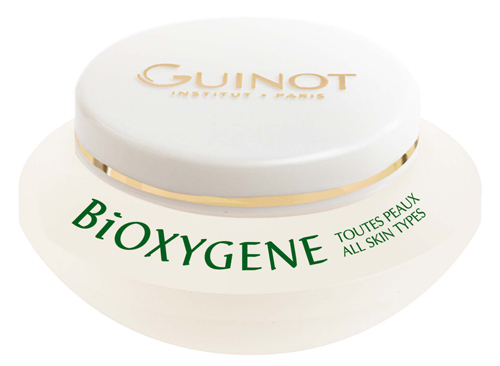 Guinot’s new BiOXYGENE facial cream, available May 2012, will combat this problem, returning radiance to the skin by oxygenating asphyxiated skin cells. Consider it a breath of fresh air for the face. BiOXYGENE has been designed to stimulate cellular oxygenation with its Pro-Oxygene formula that utilizes amino acids extracted from corn that have an extraordinary capacity to help stimulate the cellular respiratory system and helping improve the functions of skin cells. BiOXYGENE combats pollution with Purisoft. Made using peptides extracted from grains of the Moringa tree, Purisoft is a system of protection against pollution that helps expel harmful environmental micro-particles. All the while skin is moisturized with Guinot’s Hydrocyte Complex, the biological moisture source actively hydrates cells at each level of the skin, leaving faces feeling supple and refreshed. BiOXYGENE is also paraben-free and was not tested on animals. Vitamin E helps neutralizes free radicals and protects against the harmful effects of the environment. Plant DNA helps regenerate and repair cells. Shea Butter has an integral nourishing action. BiOXYGENE comes in a 1.6 oz jar priced at $75. 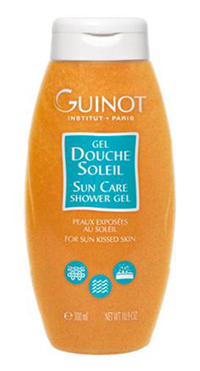 Guinot products are carried in over 1000 spas and salons within the US. To locate a spa, visit www.GuinotUSA.com. 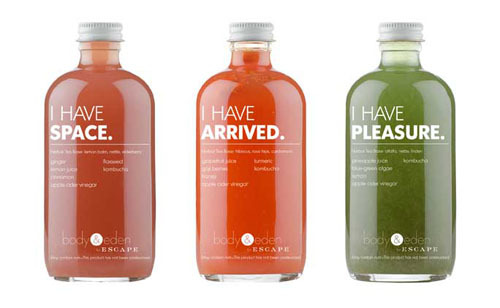 New to the shelves of ESCAPE boutiques in May 2012 at The Cove Atlantis and One&Only Ocean Club on Paradise Island, Bahamas, is a line of herbal elixirs by New-York based superfood mixologists, Body&Eden. 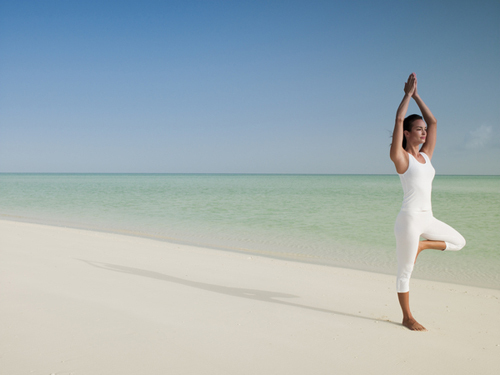 Comprised of three unique herbal blends – I HAVE SPACE, I HAVE ARRIVED and I HAVE PLEASURE – the new exclusive ESCAPE elixir line promises to provide guests of The Cove or Ocean Club with the highest nutritional content to support and nourish the body while on vacation. Body&Eden works closely with a hands-on herbalist to create safe and balanced combinations comprised of the most vibrant nutrients to support the body’s needs when traveling. The new Body&Eden for ESCAPE line is available exclusively at ESCAPE boutiques at The Cove Atlantis and One&Only Ocean Club and is priced at $12/bottle. These three elixirs are vibrant and varied in color, representing their high vitamin and nutrient content specifically formulated for travel. This digestive elixir helps cleanse and clear toxins accumulated during travel, while creating space for something new. Apple cider vinegar, an ancient healing remedy known to help promote healthy digestion and weight loss, is combined with the digestive and circulatory support of ginger and cinnamon. The herbal tea base of lemon balm, nettle and elderberry round out this elixir combined with immune boosting anti-inflammatory and infection fighting properties to ensure a healthy holiday. With ten times the antioxidants of red wine, the superfood goji berry is blended with a touch of honey and anti-inflammatory and detoxifying turmeric to promote rejuvenation and anti-aging. Grapefruit juice helps alkalinize the body while apple cider vinegar promotes healthy digestion and weight loss. The herbal tea base of hibiscus, rose hips and cardamom protect against stress and infections creating a soothing elixir that wards of sickness from the moment you arrive on holiday. Pineapple juice is combined with blue-green algae, a chlorophyll-packed superfood, and apple cider vinegar, an ancient healing remedy to promote healthy digestion and support the immune system when traveling. Added to the herbal tea base of alfalfa, nettle and linden, this elixir helps to reduce stress levels and promote relaxation, supporting a happy, healthy, feeling of pleasure. Springtime is officially in full-bloom in Toronto, Canada’s biggest city, and it’s time to get out and enjoy it! Just a quick flight a way, Toronto is the ideal weekend getaway. 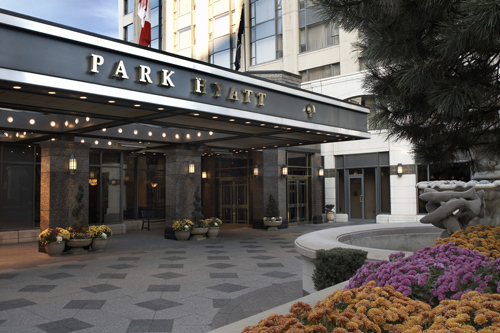 Perfectly situated in the heart of the fashionable Yorkville area and surrounded by high-end retail stores and five-star restaurants, a weekend at the Park Hyatt Toronto is just what the doctor ordered. Its close proximity to downtown’s most renowned sites makes it the perfect home base for your visit. Get high – EdgeWalk, the city’s newest attraction is not for the faint of heart. For $175, extremists can get the best view of the city…and then get pushed out of a 116-story tower. Get a little tipsy – While Ontario’s booming wine industry is still flying somewhat under the radar, it’s not due to quality. According to George, “it’s because Ontario’s oenophiles are too busy getting high on their own supply to figure out how to export the stuff.” The best vintages come from the vineyards that line the scenic back roads of the Niagara Peninsula, less than an hour from the city. Eat Dim Sum – with nearly 50% of Toronto’s population born outside the country, there is an immense array of restaurants, and many of them hail from Asia. While most tourists head for Chinatown, the best Dim Sum is found in the suburbs north of Highway 401. Get wet – no trip to Toronto is complete with making the pilgrimage to Niagara Falls. Whether you choose to hit the casinos or not, a cruise aboard the historic Maid of the Mist steamboat is definitely in order. Catch up with Brad & Angelina – In September, the annual Toronto International Film Festival brings A-listers from all over the world. Can’t make it in September? No worries, the festival’s TIFF Bell Lightbox theater complex has an impressive selection of films and events occurring throughout the year. Knock your socks off – Make sure to sneak in a visit to the Bata Shoe Museum, home to more than 12,500 shoes from all around the world. 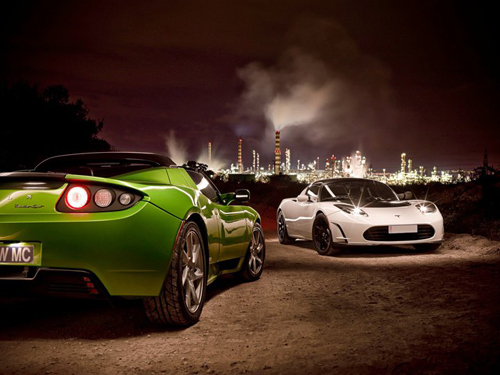 Get down – The real fun happens after dark. George’s one rule for Toronto’s funky nightlife: “West is best.” Start along Queen Street West and end in the Parkdale neighborhood’s Grand Electric, a bustling, mod-Mexican cantina. Crystal Cruises is surely doing their part to help make the world a better place. It all started in January 2011, when they introduced the “You Care, We Care” voluntourism program where guests and crew can be directly involved in worthwhile causes in the destinations they visit, including opportunities such as assisting with poverty relief, education, cultural preservation, environmental conservation, animal welfare, and more. In May, Arun Gandhi joins guests aboard Crystal Symphony for a Iberian Peninsula sailing. Few names in world history evoke such powerful images of integrity, courage, social harmony, and – perhaps most of all – hope. Arun Gandhi carries within himself the same guiding principles as his grandfather, the legendary peace-maker and spiritual leader, Mohandas K. Gandhi, also known as Mahatma Gandhi. A speaker of international acclaim, Gandhi has spoken at hundreds of colleges and universities, and corporate and civic organizations. His unique talents and cross-cultural experiences have brought him before governmental, social, and educational audiences in countries all over the world. Arun is a cultural treasure, offering firsthand insights into one of history’s most influential leaders. From May 9 – 21, 2012, join Gandhi aboard Crystal Symphony’s ”Iberian Journey“ sailing from Barcelona to London, with calls in Mallorca/Palma de Mallorca, Valencia, and Málaga, Spain; Tangiers, Morocco; Lisbon and Oporto/Leixoes, Portugal; and Bordeaux, France. You too can help make the world a better place!